Another frosty morning today, after a week of rain. 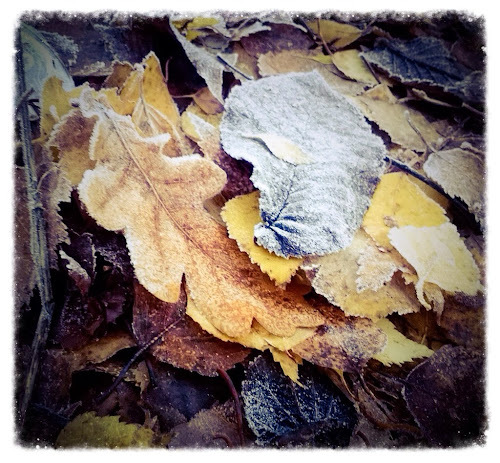 Leaves have started to decay, but today they were covered with frost. A couple of oak and buckeye leaves have found their way to the the otherwise birch and maple leaf ridden sidewalk by our house, from trees a little way down the street.